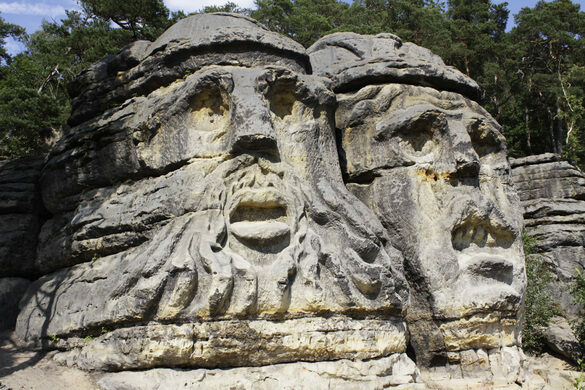 A disturbing sight awaits hikers exploring the forest above the village of Želízy in Protected Landscape Area Kokořínsko in Czechia — two enormous demonic faces carved from the native stone stare back with empty eyes. 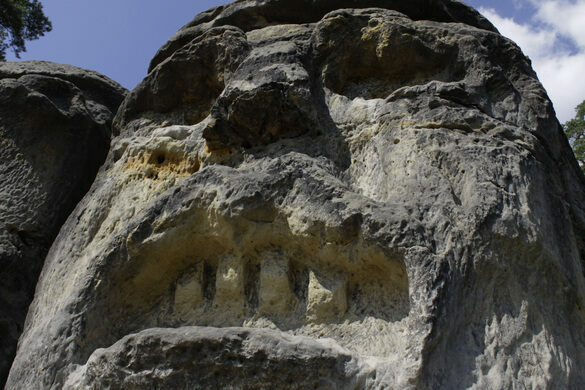 Created by Vaclav Levy in the mid 1800s, the nearly 30 foot tall stone heads are known locally as Certovy Hlavy or the “The Devil Heads” and have been a local attraction for generations. Other carvings by the artist including artificial caves and scenes inspired by fairy tales adorn other nearby rock faces. Now suffering slightly from the ravages of time and weather, the faces have grown less distinct over time, but no less disturbing. Every part of this unusual home is built into the sandstone rock.